Standard Seeks to Create More Secure PIN Entry for NFC Payment | NFC Times – Near Field Communication and all contactless technology. A new specification from GlobalPlatform seeks to standardize applications securing PIN entry on NFC phones. Did Low-Cost HCE Project in Taiwan Get a Low-Cost Vendor? As prospects for NFC-based mobile payment heat up, banks and payment brands are left with the problem of how to secure high-value transactions. With viruses on smartphones an ever-present worry, some are not convinced it’s safe to allow consumers to enter PIN codes on handset keypads, which could be spied upon by fraudsters. So some banks are requiring users in trials, such as one now going on in Spain, to enter their PINs on point-of-sale terminal keypads, which are then compared with PINs stored on the backend. Some NFC trial organizers don’t allow high-value transactions at all. And while most banks and payment companies likely will want to enable PIN entry on the NFC handset to ensure the user experience is consistent, they might follow the lead of French banks, which in NFC pilots have renamed the PIN as the “personal code.” Although the banks emphasize that this code is different from the PINs used by customers for their French debit cards, it does not avoid the potential risks of an insecure phone keypad. But vendors have been developing hardware and software that could provide a trusted area right on the phone processor, which could store encryption keys, certificates and other security measures. This so-called “trusted execution environment” would add security features to help safeguard PIN entry on the phone keypad and also deter hackers from spying on transaction data displayed on the handset screen. It could offer a security boost for a range of other applications, including enabling secure access through corporate virtual private networks or digital rights management for games or music, among a range of services in app stores of the various smartphone makers. GlobalPlatform is developing specifications that apply to software and hardware that use the trusted execution environment in phones. The specifications are for the application programming interface, or API, for applications that run in this trusted environment. The API would enable developers working with various smartphone operating systems and chips to develop applications across all the platforms. Their products now remain proprietary. While most trusted execution environments on phones use a secure area called TrustZone by UK-based chip design company ARM Holdings, TrustZone ties into different operators systems, such as BlackBerry OS and Android. There are also different phone processor chip makers and also at least two major providers of software platforms for applications using TrustZone and the trusted execution environment–smart card vendor Giesecke & Devrient and Trusted Logic, owned by smart card maker Gemalto. GlobalPlatform members ARM, Giesecke & Devrient, Trusted Logic and chip makers ST-Ericsson and Texas Instruments have worked on the specifications. These specs will not only be used for NFC applications, and mobile operator group, the Open Mobile Terminal Platform, also worked on the specifications. The group is now known as the Wholesale Applications Community, or WAC. 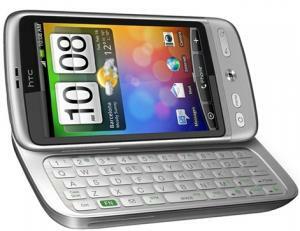 But GlobalPlatform needs some support from the major smartphone makers and other chip makers for its specifications. The initiative presumably has the backing of Giesecke & Devrient and Trusted Logic. GlobalPlatform has formed a working group to continue work on the standard. There is also a need for a secure connection from the trusted execution environment to the secure element or secure chip in the NFC phones, which would store the actual keys to the payment applications and the customers’ PIN codes. This chip could be on a SIM card, embedded in the handset itself or located elsewhere, such as in a microSD card inserted in the phone. And even with the more secure phone keypad that the trusted environment provides, PIN entry on the phone to complete a payment transaction would not be considered as secure as entering PINs on POS terminal keypads that support the PIN Entry Device standard, or PED, of the PCI Security Standards Council. But with NFC-based mobile payment expected to begin rolling out by next year, a standard promoting more secure phone keypads and screens is no doubt welcome news for banks and card brands. All these security issues can be solved if SCWS enabled SIM cards, this will enable all mobile to interact with mobile payment application which stored in SIM cards through web server. All encryption keys are stored in SIM and are not visible to phone OS all encryption operations are done in SIM card level.